Tis the season for gift-giving all around, and that usually includes our neighbors! I love planning out which recipes I’ll be making and when I’ll be putting together all my delectable goody plates. 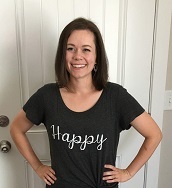 However, this past month has been a little crazy for my family, and I’ve realized I just don’t have the time I wanted for making all the delicious treats that I wanted to originally. However, that doesn’t mean I can’t put together some awesome goodies and gifts for my neighbors! It just means thinking outside the cookie box a little ;). If you’re looking for some variation or you also are looking for some fun no bake ideas, then check out these ideas below! Oreos are your best friend. They are delicious and require no baking whatsoever! Just melt a little chocolate and dip Oreos to your heart’s content. 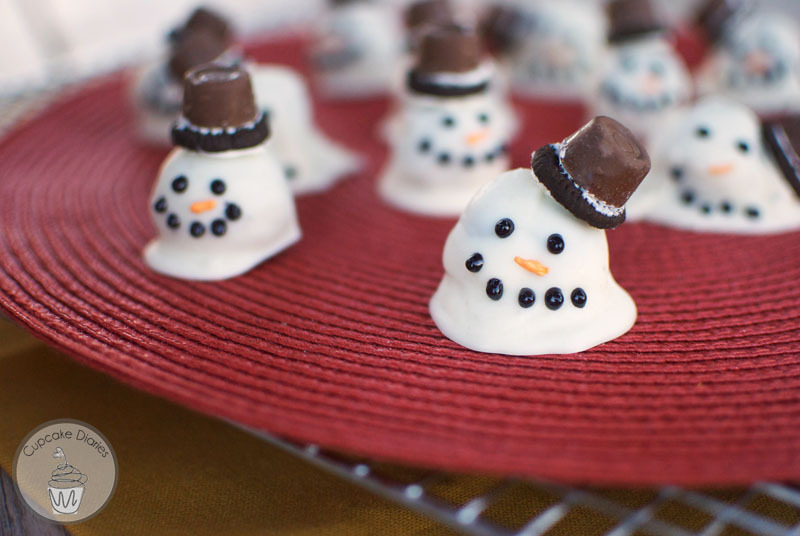 You can decorate them with chocolate drizzles, sprinkles, crushed candy canes, or whatever small candies you have on hand. You can also make Oreo truffles (mix crushed Oreos with cream cheese), and that opens a whole other slew of things you can create! 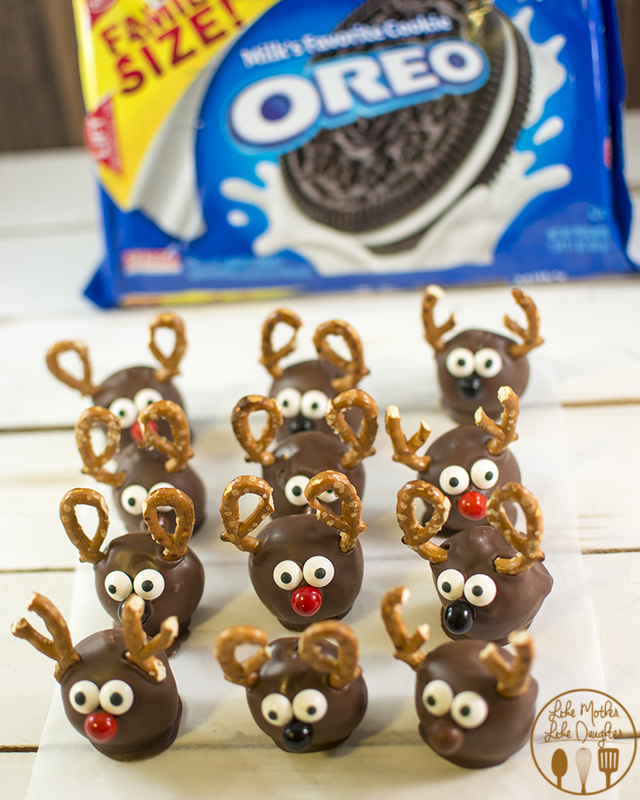 Use halved pretzels as antlers and red hot candies or Sixlets for noses and you have some adorable reindeers! You can also do snowmen, Christmas trees, or whatever your creative little heart can come up with :). 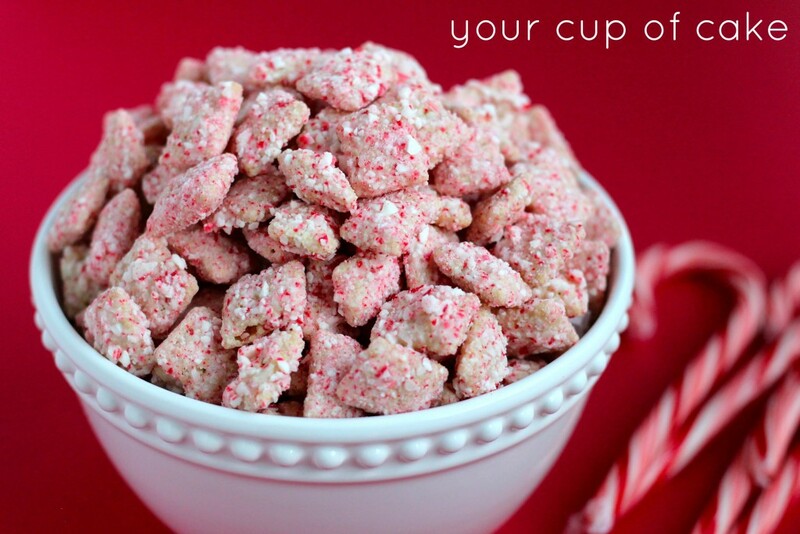 Muddie Buddies (aka Puppy Chow ;) ) is another great option for handing out treats this year! You can pump out a ton of batches in one go and have all your treats ready to go! Just put them in cute little containers or little cellophane bags. You could stick with the basic tried-and-true chocolate peanut butter recipe that everyone loves and just add some Christmas M&M’s to give them color, or feel free to try a little variety if you’re feeling adventurous! A peppermint white chocolate version could be heavenly, or red velvet cake mix with red and green M&M’s could be festive and fun! And all of these would be oh so easy! There’s also so many no bake classic desserts that would be a fantastic option for your goody plates. 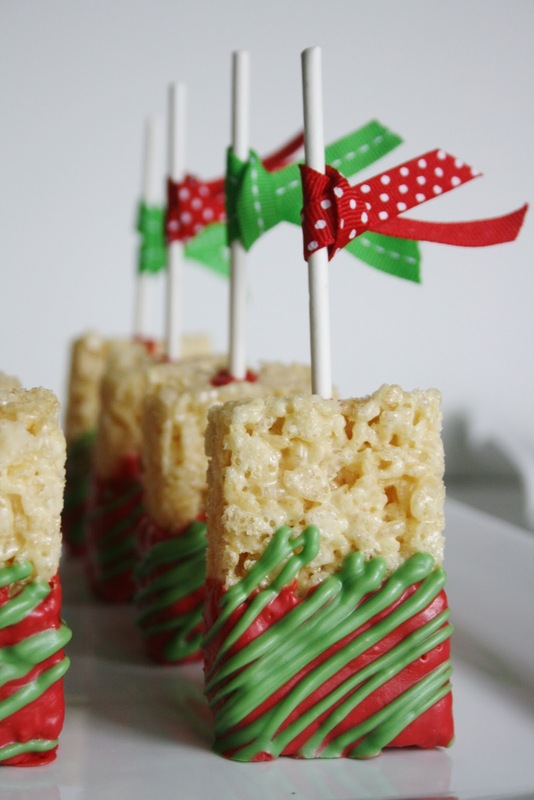 Who doesn’t love Rice Krispie treats, or no bake cookies? 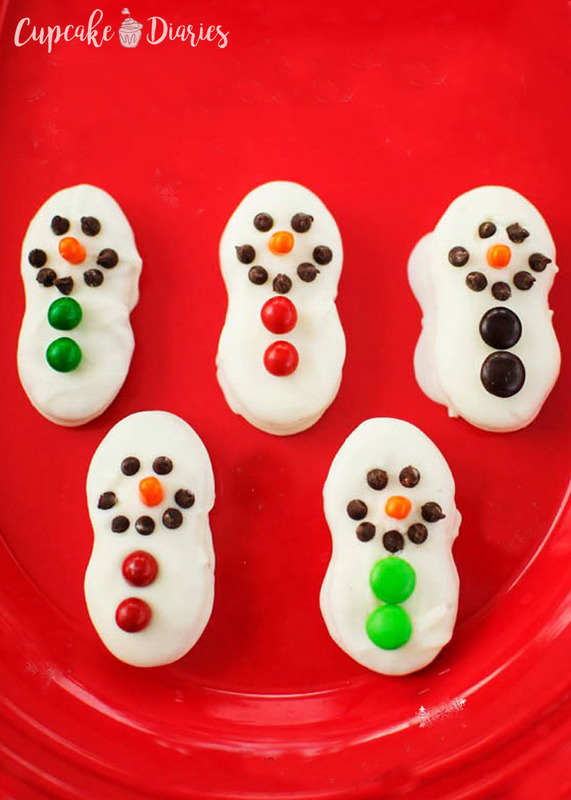 You can always add a festive twist to these classic goodies by adding red and green M&M’s or sprinkles. There’s so many other treats you can put together that require no baking and minimal effort, so don’t let a shortage of time get in the way of putting together some amazingly cute and creative treat plates! Whatever you decide to do, don’t forget to show your neighbors your gratitude for them and share with them in the joy of Christmas! Are there other no bake ideas you would add to this list? Share in the comments below!